After watching the circus at the Amway Center, I decided to wander around downtown Orlando and find some food. 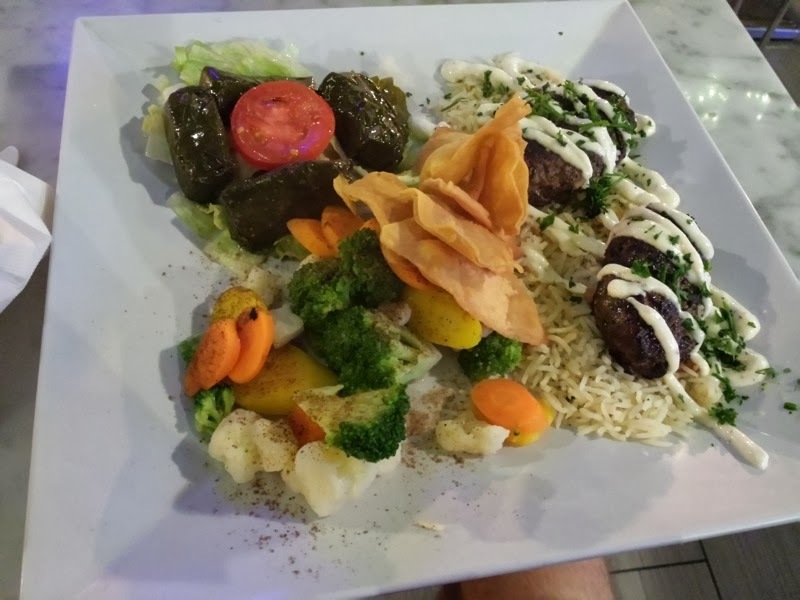 I ended up at a middle eastern restaurant on Orange Ave called Whitewood Modern Mediterranean Grill. I attempted to try this restaurant on two occasions in the past, but each time they were closed. Whitewood must have very spontaneous hours. Their website lists them as open during the times I've attempted to eat there in the past, yet they are listed as closed on Sundays. I ate at Whitewood on a Sunday. 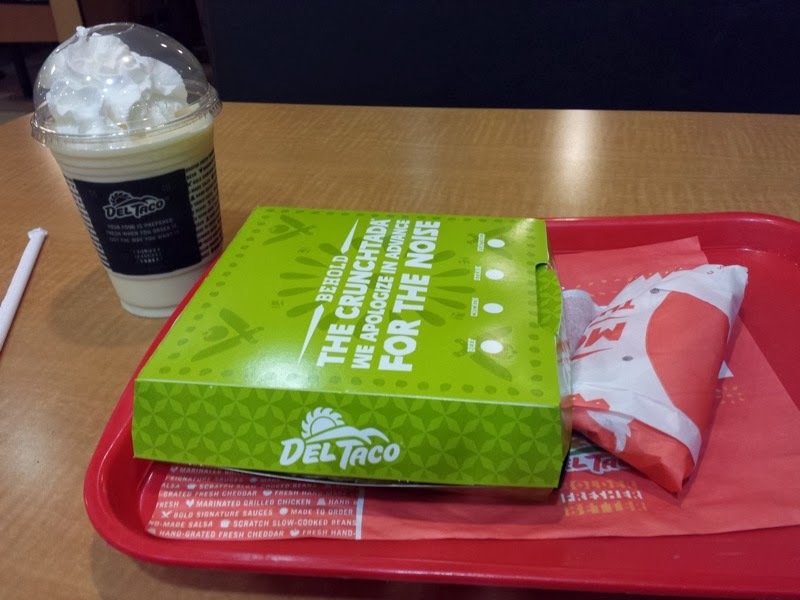 Del Taco is a fast food Mexican chain that has a few locations in the Orlando area. They recently added ground turkey as a meat option to their menu. 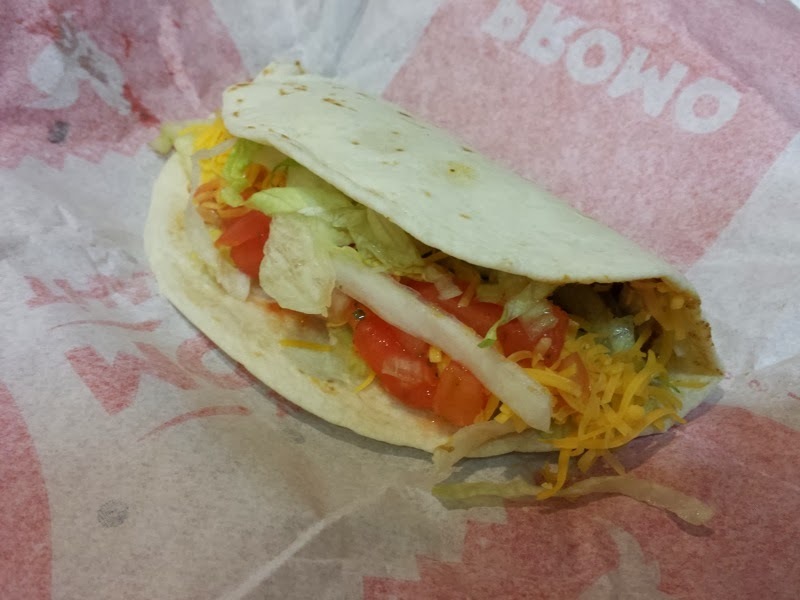 To announce the turkey, I received a box of feathers in the mail with a gift card to go try the new meat at Del Taco. 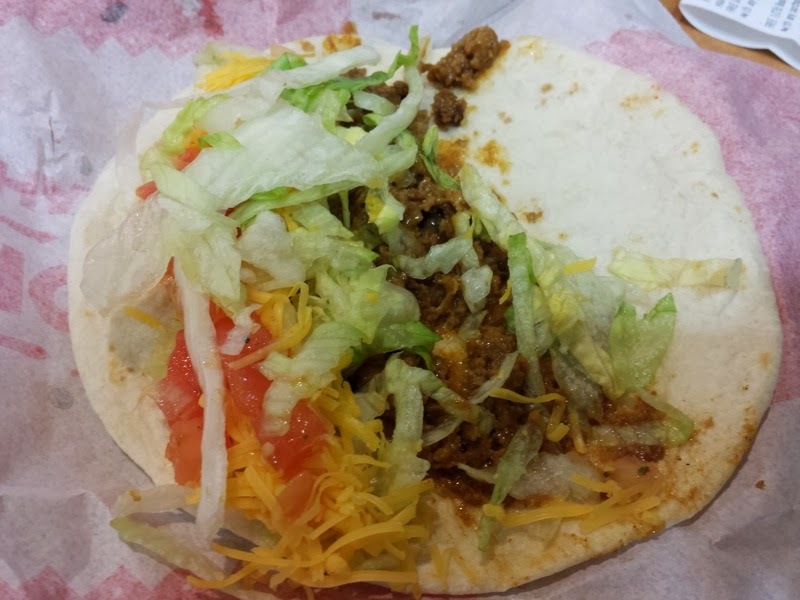 I used the gift card to try the turkey at the Del Taco on International Drive in Orlando. 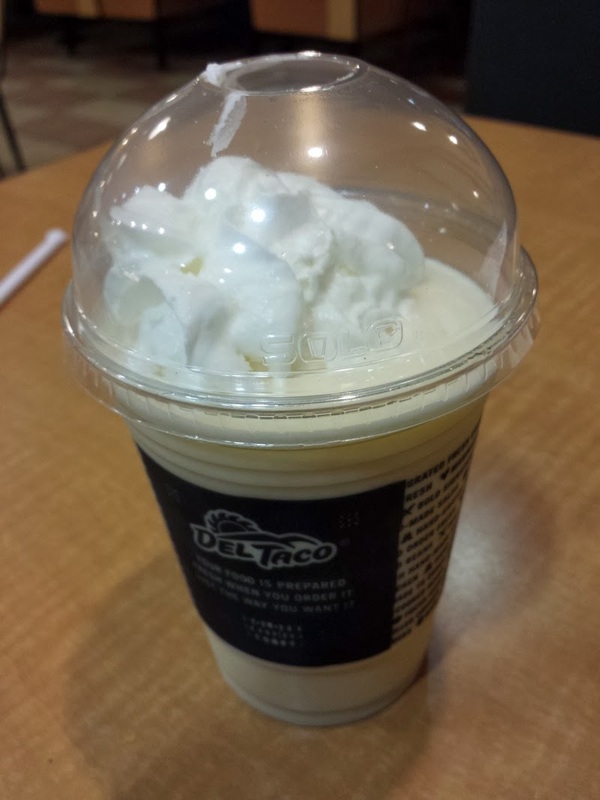 I ordered a Turkey Taco, a Turkey Crunchtada Tostada, and a Vanilla Milkshake. 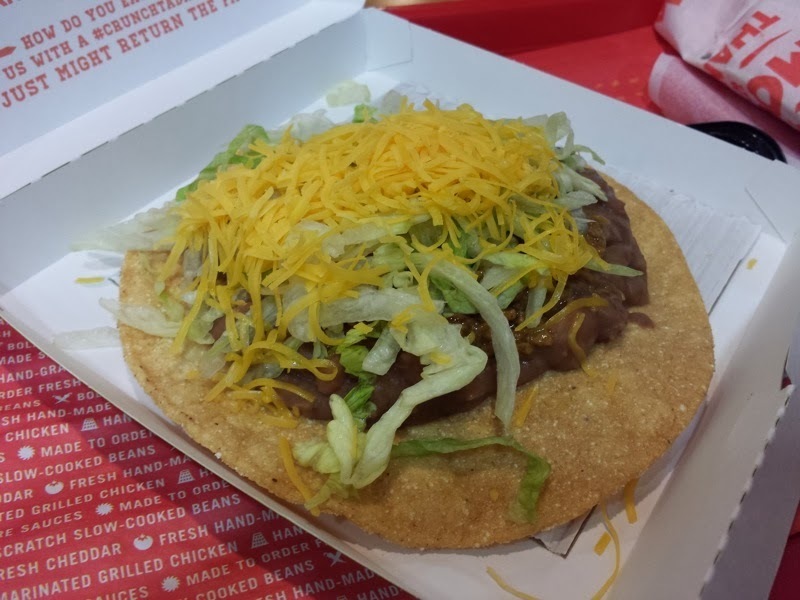 Turkey Crunchtada Tostada- I preferred this to the taco. 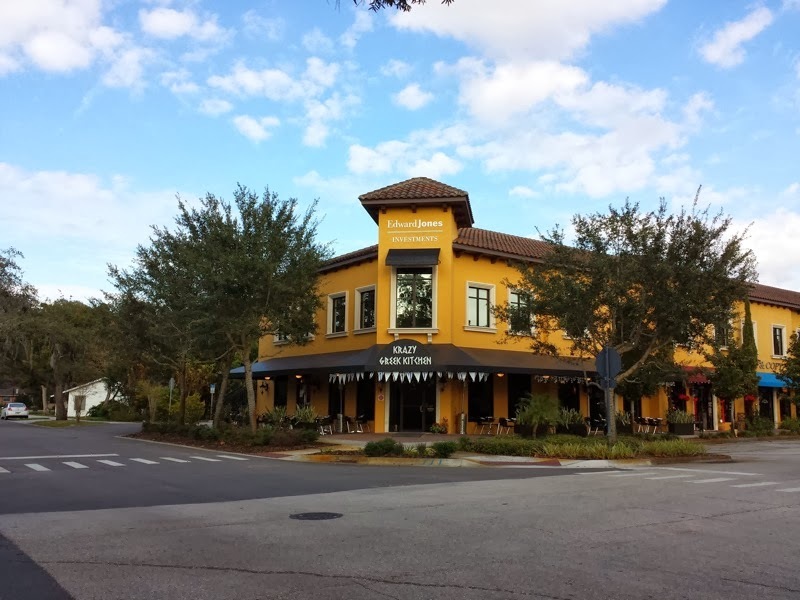 I ventured out to Deland for dinner on a recent evening and found myself at a restaurant called the Deland Fish House. This seafood restaurant was located on International Speedway Blvd, not far from Downtown Deland and Stetson University. They had a combo dinner where you got to pick a type of fish and shellfish that sounded good to me. I chose the blackened mahi mahi for my fish and a crab cake for the shellfish. The dinner came with two sides and I chose the fried okra and cheese grits. Hush puppies were also included. The blackened mahi mahi was very tasty. The seasoning was nice and spicy. 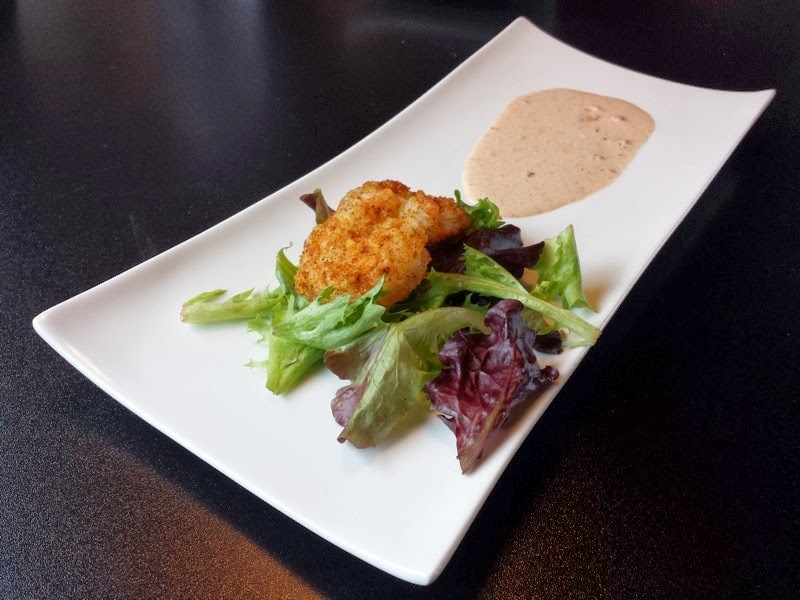 The crab cake was also tasty. There was a lot of crab in this very large crab cake, which is always a good thing. 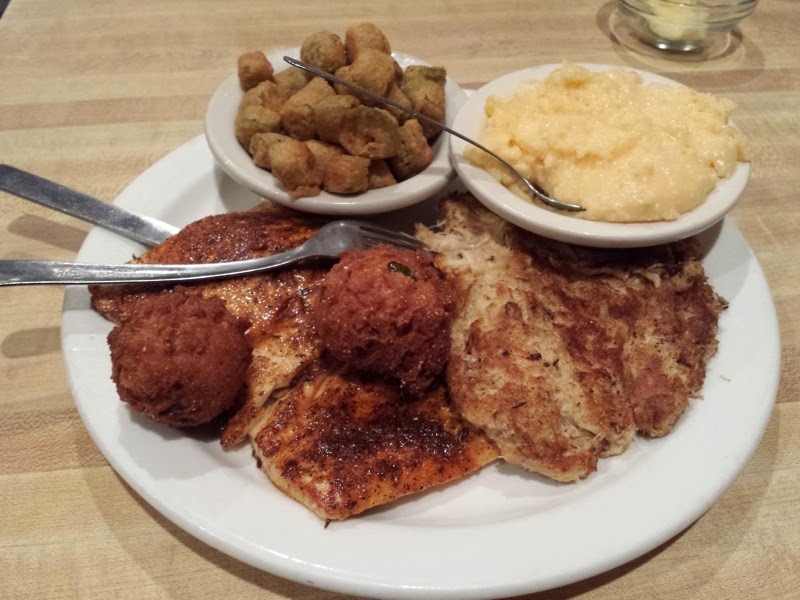 The fried okra was average and the cheese grits were very plain tasting. The seafood was definitely better than the side items, as it should be at a seafood restaurant. Overall, I liked this place. The food was good for the most part. The prices were a little less than I was expecting and the portions were huge. I'd return! I ordered the Gyro Pita. The sandwich was filled with plenty of thinly sliced meat, lettuce, onions, tomatos, and lots of tzatziki. The meat was very flavorful and the sandwich was kept nice and moist from the tzatziki. 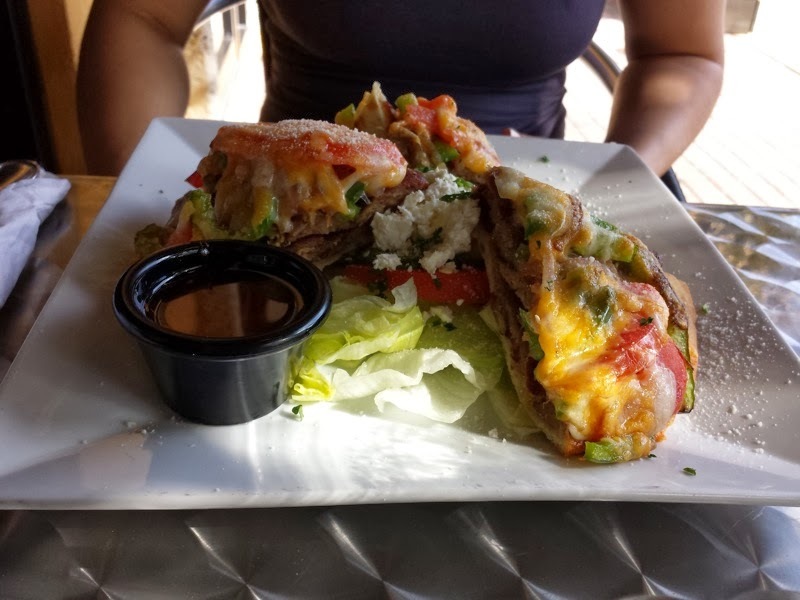 Another food item that I was considering, but decided to get my gyro pita instead when someone else at the table ordered it was the Gyro Flatbread. This pizza-like creation was something I haven't seen elsewhere. 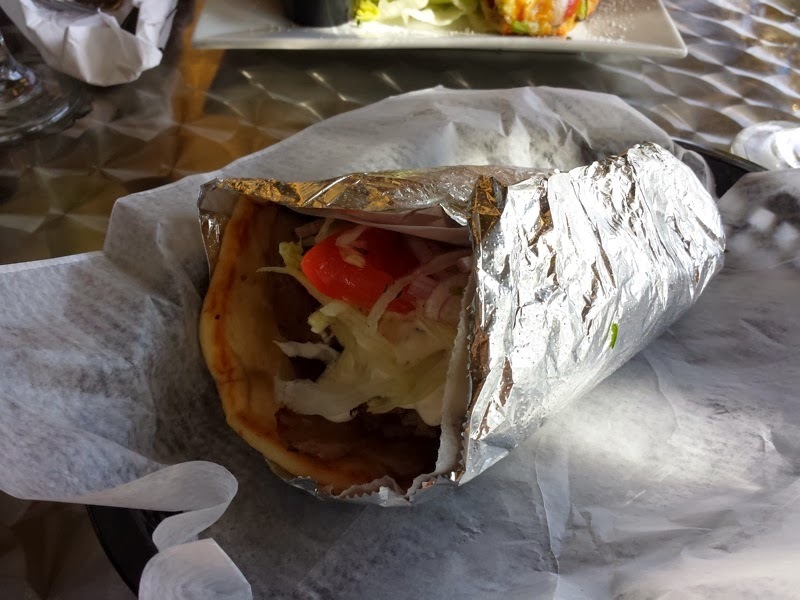 It consisted of a pita piled high with a layer of gyro meat, then a layer of peppers, onions, tomatoes, and then melted cheese. All this was served over a Greek salad. I tried a slice of the flatbread and it was delicious! Next time I come back to Krazy Greek Kitchen, I know what I'm ordering. Lake Mary has a couple other Greek restaurants, but I think Krazy Greek Kitchen has the potential to be my favorite. I need to return to see if they hold up well! I may be a food blogger, but I also have a big interest in the circus. I choose to fill my spare time with teaching myself circus arts. It started out with juggling, then moved on to unicycle, then stilt walking, then balloon art, and so on and so on. You can find circus props hidden throughout the background of several posts on this blog. Much of the travel food blogging that was written about has been done based around trips to circus festivals and conventions. Because of my rather obscure interests, you can bet I was excited when I received an invitation to visit the circus train for a tasting experience on the Ringling Bros. and Barnum & Bailey Pie Car! The Pie Car is the official name for where food is prepared and consumed on the circus train. 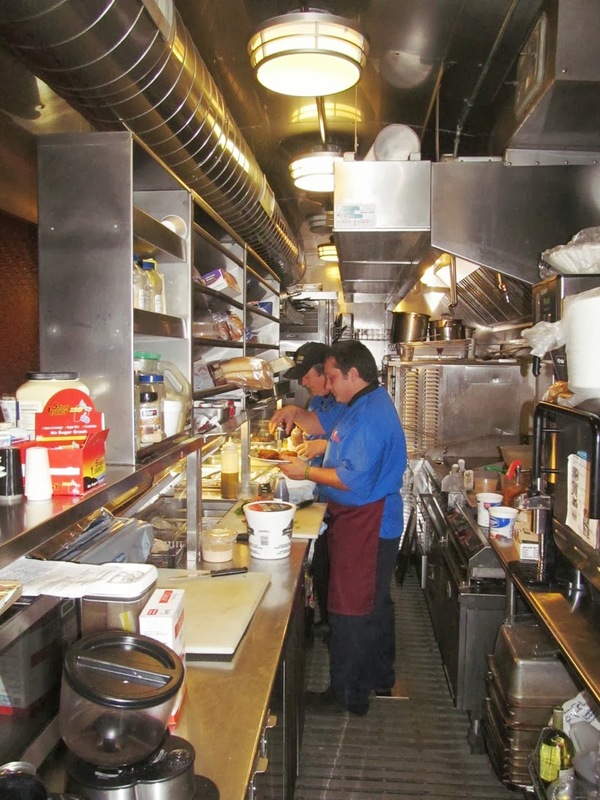 Once aboard, we got to see the kitchen where all the food is prepared. That's Matt Loory, the Pie Car Manager for Ringling's Blue Unit. The Pie Car on the train and the Pie Car Jr. (food truck), which serves meals at the arenas, prepares a combined total of 1,000-1,500 meals each week. On selected days, the Pie Car offers special dishes featuring favorite performer recipes representing the cuisines of their native countries. Approximately 30 countries are represented on the Blue Unit. 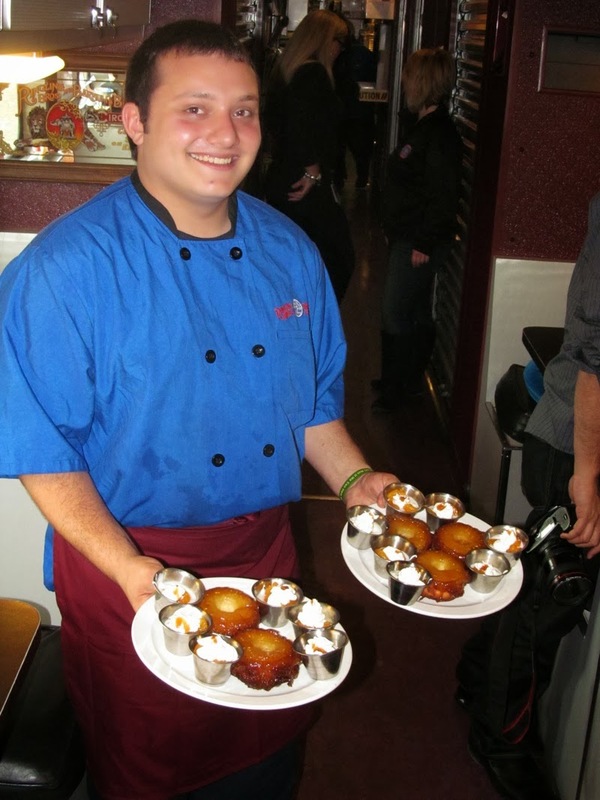 The Pie Car Manager strives to create dishes that cater to everyone’s tastes. Central Florida native Matt Loory is the Pie Car Manager for the Blue Unit. At age 23, he is one of the youngest PCM’s in Ringling Bros. history. The old chow houses used to serve primarily meat pies due to their heartiness and low cost. 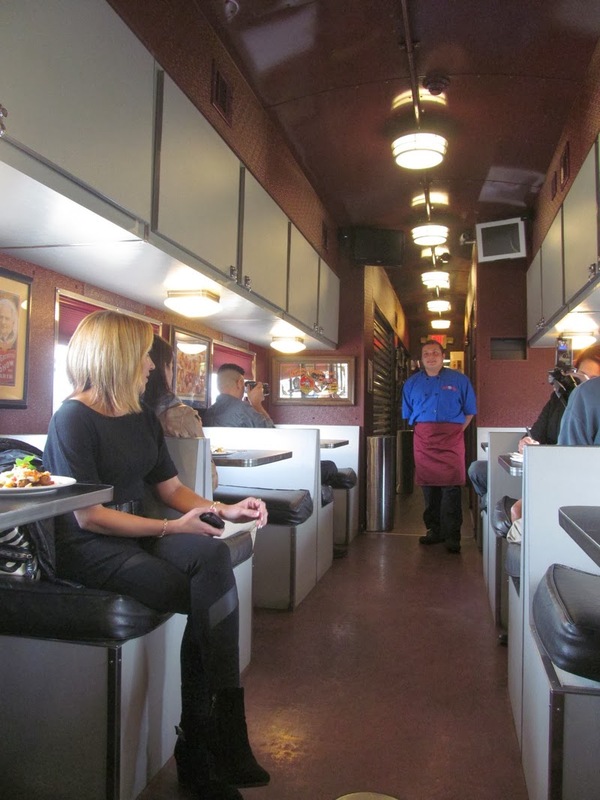 Old dining cars on trains used to just serve coffee and pie. Soon enough, it was time eat. Since the public can't dine on the Pie Car without running away to join the circus, these pictures will be the closest you'll get to sampling circus food. Circus employees are definitely served much better food than what's sold at the concession stands at the circus! The first dish that was sampled was called Huevos Loco-Motion. Eggs, chorizo, peppers, onions, pico di gallo, and cheese all over a tortilla. Popcorn Shrimp with Chipotle Mayo came next. I really liked the batter on the shrimp. Apparently it is a secret recipe that does include corn starch, brown sugar, cumin, garlic powder, onion powder, cayenne pepper, and Old Bay seasoning. 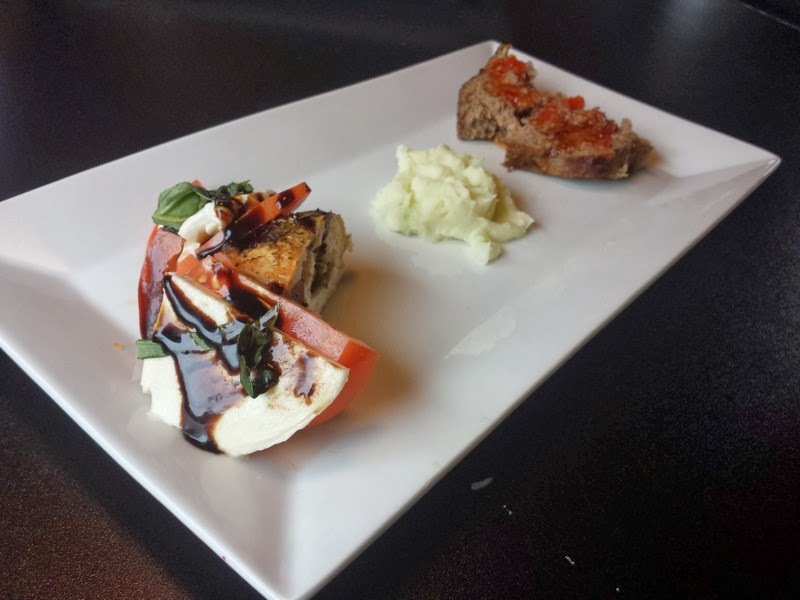 Asian Meatloaf with Wasibi Mashed Potatoes & Chicken Caprese Roulade came next. Wasibi Mashed Potatoes were a very tasty combination that I had never tasted before! For dessert, we had pineapple upside down cake and yogurt topped with orange slices. After dessert, my meal on the Ringling Bros. and Barnum & Bailey Pie Car came to an end. I can now say I've eaten on a circus train! Ringling Bros. and Barnum & Bailey's Legends will be playing at the Amway Center in Orlando January 9-12, 2014. Be sure to go watch. I'm definitely going to see the show! 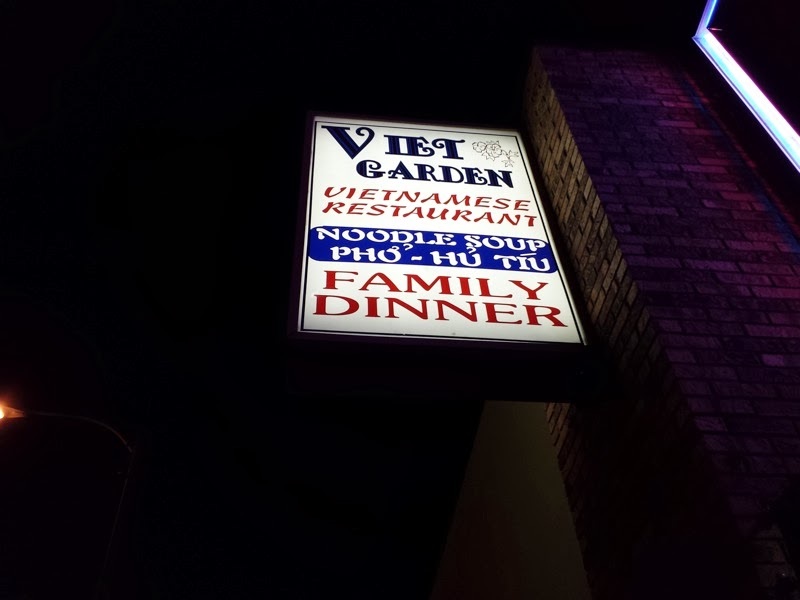 Viet Garden was my gateway restaurant into Vietnamese food. Years ago, when I was unacquainted with this type of food, I remember trying Viet Garden for the first time and thoroughly enjoying it. I knew nothing about Vietnamese food at the time, but I knew I liked the sounds of all the noodles and soups that I found on the menu. 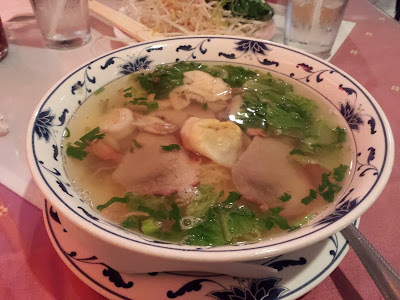 I soon found myself trying more and more of the surrounding Vietnamese restaurants in the Orlando area. It had been a while since I'd had Vietnamese food, so I decided to return to Viet Garden for another visit. 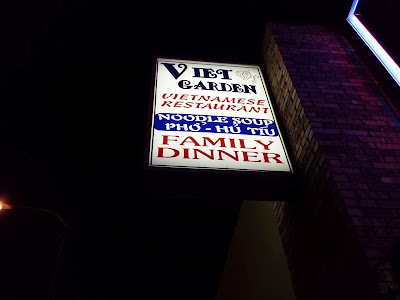 On this particular visit to Viet Garden, I had the Cho Lon Combo Egg Noodle Soup. This consisted of shrimp, crab claws, roast pork, wontons, egg noodles, and some greens in a broth. The standard side dish of of bean sprouts, basil, jalapeno, and lime accompanied the huge bowl of soup. I did enjoy my soup, although the shrimp and crab claws were a bit elusive. I think I found two of each in the entire bowl. The broth had nice flavor with just the right amount of saltiness. Overall, this was a pretty tasty soup.